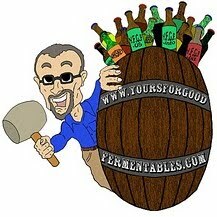 It's not quite an entry in the Guinness Book of World Records—even though the beery analogy might be appropriate. But beer scribe Alexander D. Mitchell IV blogged live—over three days—from the 72 Hours of Belgium Festival in Baltimore. I marvel that he and his computer survived all those high-octane beers! Anyway, it has been quite the challenge for me to faithfully record—in anything close to real time— all of the events this week with chef and author Lucy Saunders here in the greater Washington, D.C. Baltimore area. ... and to thank all of the wonderful people who contributed and participated. The week concluded last evening, as Hugh Sisson welcomed Ms. Saunders to Clipper City Brewing for a catered dinner in her honor with fellow members of of the press and people in the trade. 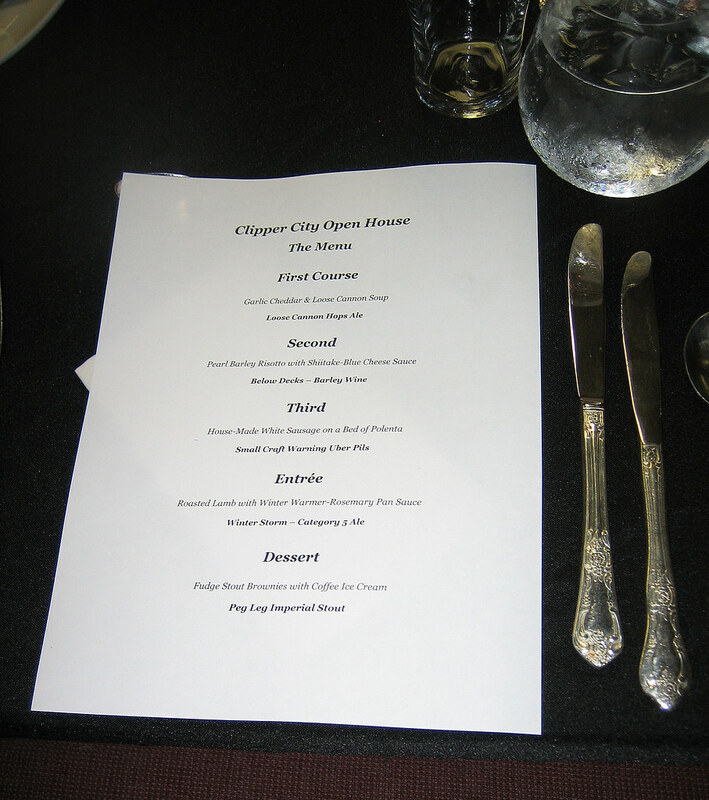 Chef Jerry Edwards of Chef's Expressions prepared a 5 course meal. He used beer as an ingredient in several of the dishes; he paired each dish with a Clipper City beer; and he cooked from the recipes in Ms. Saunders book: The Best of American Beer and Food. 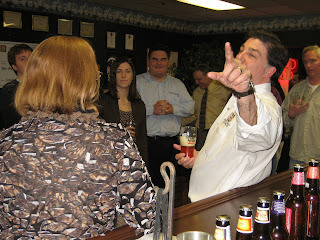 Doug Roberts of WBAL Radio's Beltway Gourmet was there with a microphone. Hear his interview here. 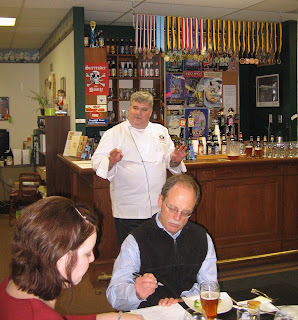 During the dinner, Chef Edwards, Lucy, and Hugh talked on the issues of pairing beer and food, and on cooking for and with beer. It was an interesting discussion, so when time permits, I'll post my notes. 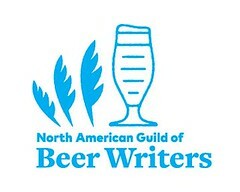 Ms. Saunders leaves our area today and is on to Philadelphia for Philly Beer Week. Friday she celebrates with Joe Sixpack—Don Russell— at the The Marketplace at East Falls at a release party for his new book, Joe Sixpack's Philly Beer Guide. Then Sunday, she is a featured guest, along with Carol Stoudt of Stoudt's Brewing—and others— at Devil's Alley for a five-course tasting of savory barbeque. Devil's Alley chef Michael Yeamans is preparing each dish with cocoa and chocolate(! ), and pairing them with craft beer. If you miss the event— at Devil's Alley— Ms. Saunders expounds on the savory aspect of chocolate (as she briefly did last evening) in her book, Grilling with Beer.